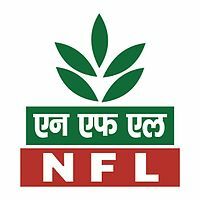 NFL Recruitment 2019 – National Fertilizers Limited (NFL) Job notification for 40 posts of Marketing Representatives. The detailed eligibility and application process are given below. 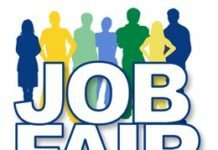 NFL Job Vacancies: NFL having various vacancies in various discipline for their organization and manufacturing plants.NFL also hire candidates through GATE examination. Candidates who want to apply NFL Recruitment can visit www.nationalfertilizers.com career section. At present NFL announced vacancies for 40 Marketing Representative for Freshers candidates. Educational Qualification: B.Sc. (Agriculture) with 50% marks in aggregate for General and OBC candidates and 45% for SC/ST/PwBD candidates against reserved positions. Age limit (As on 28.02.2019): 18 to 30 years. Candidates will be required to appear for computer based online objective type test. Medium of Test will be in Rajbhasha (Hindi) and English. Duration of test will be 02 hours (120 minutes). The total number of questions will be 150, of one mark each, out of which 100 questions would be from mix of course curriculum of qualifying Course i.e. B.Sc. (Agricluture). and 50 questions from General English, Quantitative Aptitude, Reasoning & General Knowledge / Awareness. There will be no interview and selection of the candidates for appointment shall be made purely on the basis of marks obtained in online test and subject to verification of certificates/testimonials etc. Mode of Payment: Online mode through internet banking account or credit/ debit card. Examination Centre: Jammu/Kashmir, Bhopal, Chandigarh, Delhi & NCR, Lucknow, Hyderabad, Karimnagar, Warangal, Kurnool, Bhuvneshwar, Rourkela, Ahmedabad, Surat, Chennai, Coimbatore, Puducherry, Vijayawada, Vishakhapatnam. How to apply NFL Recruitment 2019 for Marketing Rep? 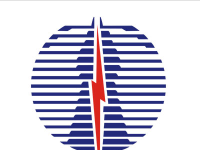 All interested and eligible candidates apply for this position in online from 19 March 2019 to 18 April 2019.